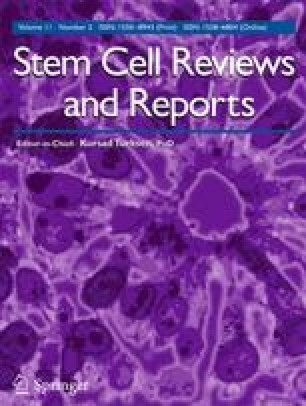 It was recently shown that the conditioned media (CM) of Human Umbilical Cord Perivascular Cells (HUCPVCs), a mesenchymal progenitor population residing within the Wharton Jelly of the umbilical cord, was able to modulate in vitro the survival and viability of different neuronal and glial cells populations. In the present work, we aimed to assess if the secretome of HUCPVCs is able to 1) induce the differentiation of human telencephalon neural precursor cells (htNPCs) in vitro, and 2) modulate neural/glial proliferation, differentiation and survival in the dentate gyrus (DG) of adult rat hippocampus. For this purpose, two separate experimental setups were performed: 1) htNPCs were incubated with HUCPVCs-CM for 5 days after which neuronal differentiation was assessed and, 2) HUCPVCs, or their respective CM, were injected into the DG of young adult rats and their effects assessed 7 days later. Results revealed that the secretome of HUCPVCs was able to increase neuronal cell differentiation in vitro; indeed, higher densities of immature (DCX+ cells) and mature neurons (MAP-2+ cells) were observed when htNPCs were incubated with the HUCPVCs-CM. Additionally, when HUCPVCs and their CM were injected in the DG, results revealed that both cells or CM were able to increase the endogenous proliferation (BrdU+ cells) 7 days after injection. It was also possible to observe an increased number of newborn neurons (DCX+ cells), upon injection of HUCPVCs or their respective CM. Finally western blot analysis revealed that after CM or HUCPVCs transplantation, there was an increase of fibroblast growth factor-2 (FGF-2) and, to a lesser extent, of nerve growth factor (NGF) in the DG tissue. Concluding, our results have shown that the transplantation of HUCPVCs or the administration of their secretome were able to potentiate neuronal survival and differentiation in vitro and in vivo. Foundation Calouste Gulbenkian for funds under the scope of the Gulbenkian Programme to Support Cutting Edge Research in Life Sciences; Portuguese Foundation for Science and Technology (FCT) for Ciência 2007 program and IF Development Grant (A.J. Salgado), and pre-doctoral fellowship to F.G. Teixeira (SFRH / BD / 69637 / 2010); John E. Davies for kindly providing the HUCPVCs used in this work.